A pack of 100 quick and easy educational play ideas for young children. 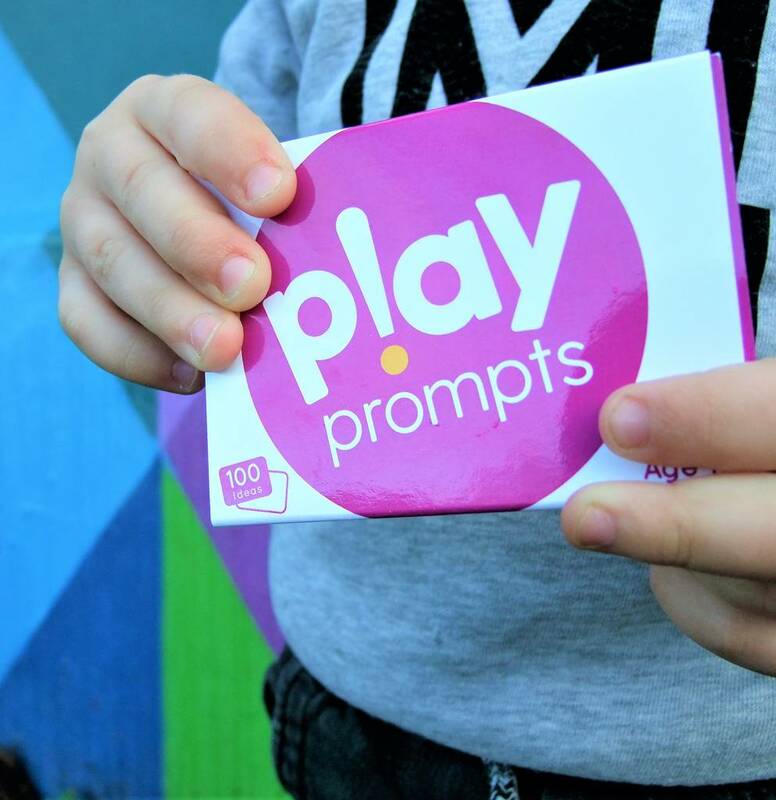 This original pack of playPROMPTS contains 100 activity ideas to inspire your play. Every activity uses items from around the house or things you can pick up from a pound shop. A mixture of messy, sensory, imaginative, creative and outdoor things to do that will support your child's development created by an Early Years Specialist. Simply pick a card at random and within a few minutes you can set up a new play activity that will keep your child occupied for ages! You never know, you might even get a moment to yourself! Ideal for children aged 1-5. Great to use at home or outside! 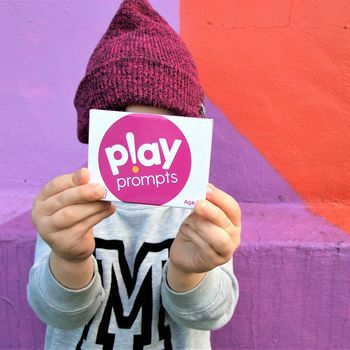 There are lots of varieties of playPROMPTS in the range catering for different age groups and themes of play. 50 double sided activity cards contained in a matchbox style cardboard box. This product is dispatched to you by playHOORAY!.